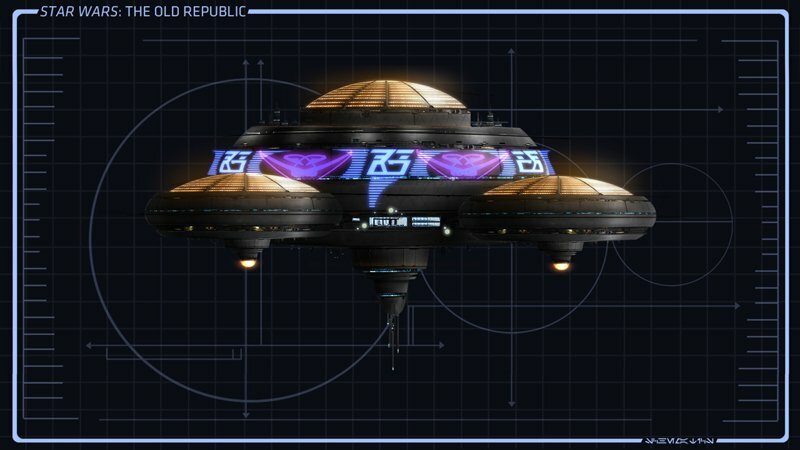 Nar Shaddaa, the "Smuggler's Moon," will appear in Star Wars: The Old Republic. 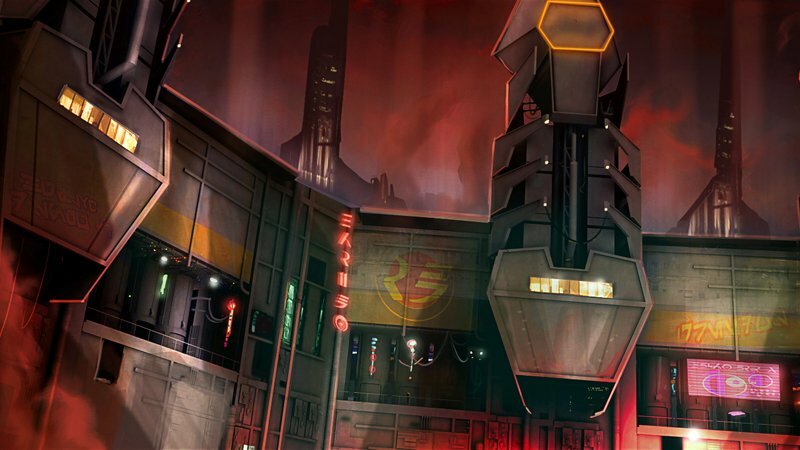 Today BioWare provided screenshots and art of the moon, which has previously appeared in many other Star Wars games, novels, and comics. 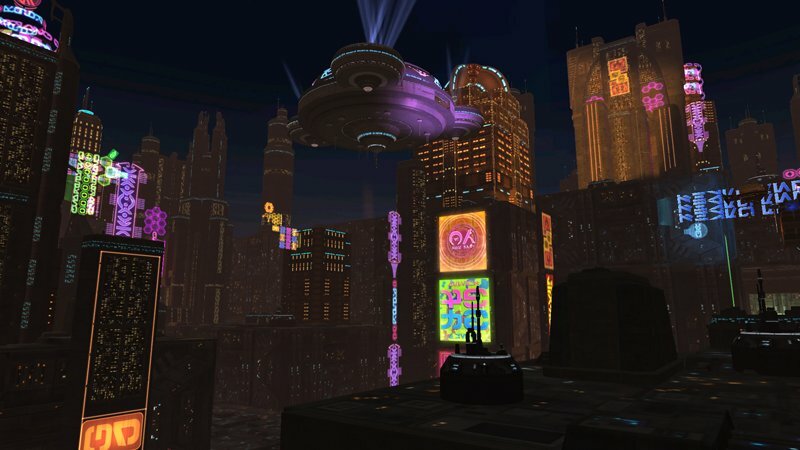 The best way to describe Nar Shaddaa is "Blade Runner." 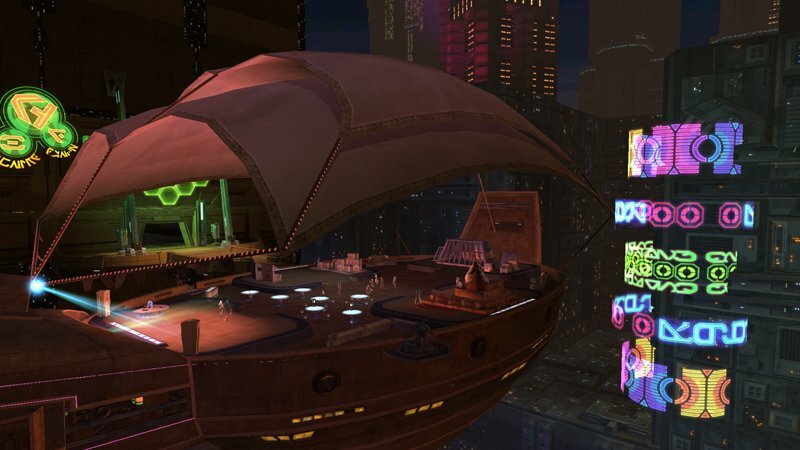 The sprawling cityscape is lit up by colorful neon billboards. There's clearly a lot of wealth here, demonstrated by the enormous skyscrapers and floating skyscrapers, but it's far from a paradise. 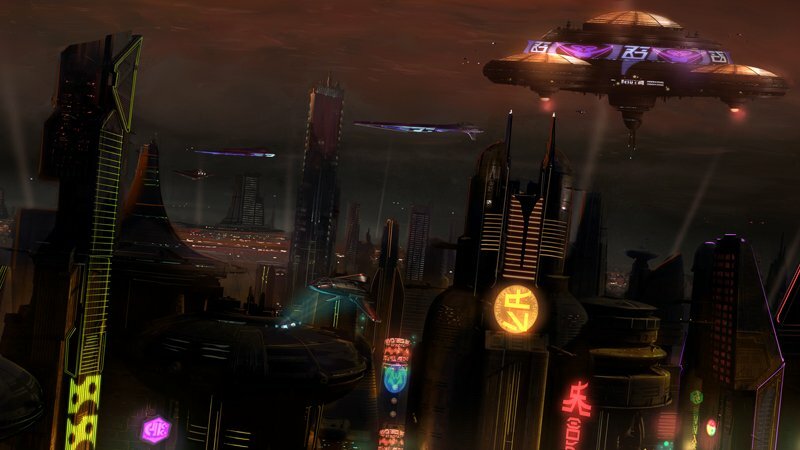 Nar Shaddaa is a center for the black market and a haven for criminals and fugitives. The moon is neutral in the sense that it's not controlled by either the Sith Empire or the Galactic Republic. Instead, it's ruled over by the Hutts. 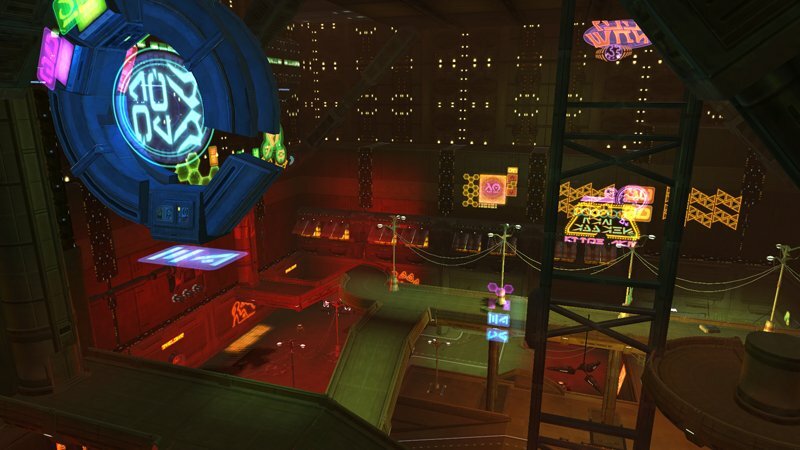 The Exchange, a criminal syndicate, is vying for control and no doubt this turf war will result in a lot of work for players. 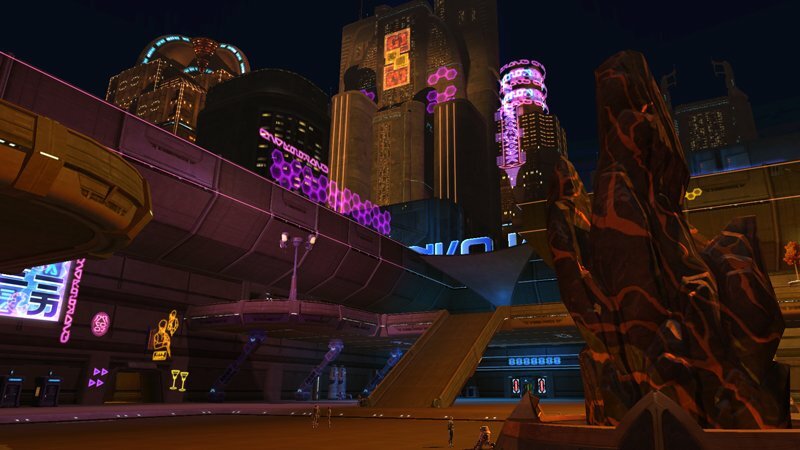 The complete Holonet entry on Nar Shaddaa can be found here. 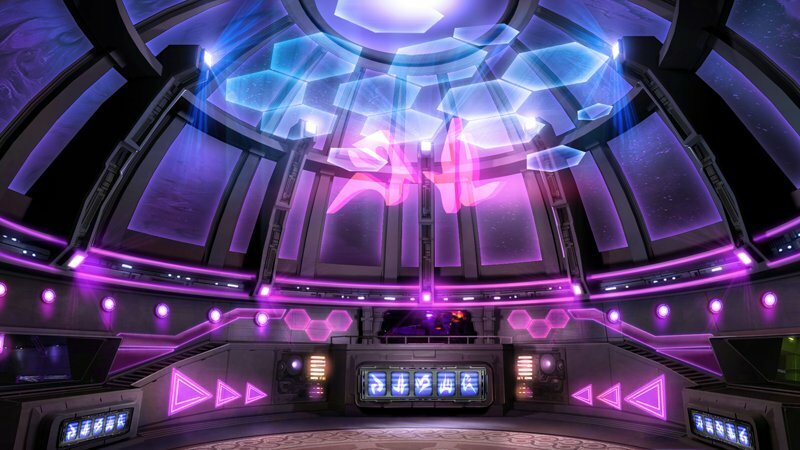 It includes more background information as well as a flythrough video.